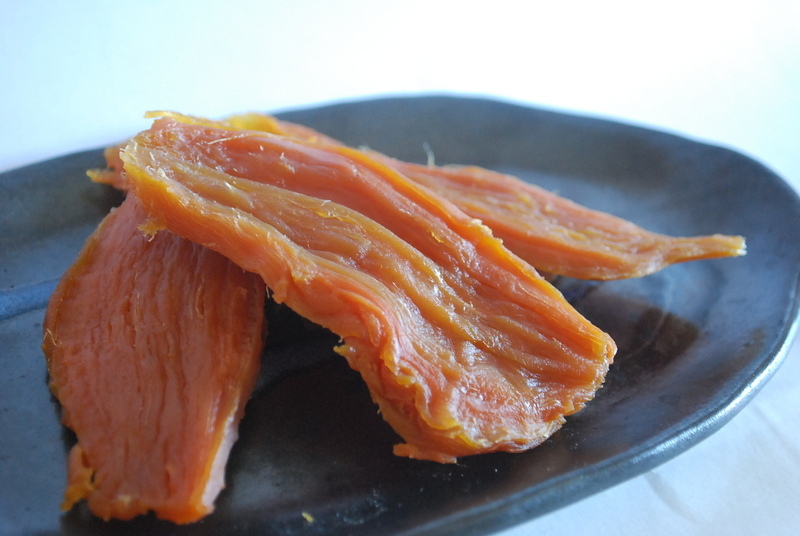 Kinko is a dried potato made from a local potato grown in Shima called Hayatoimo. The local people have had the Kinko as a snack at Shima since long time ago. Fishery is the main industry in Shima, but agriculture is also flourishing, and some people had grown Kinko beside fishing and diving. They planted Kinko seedlings between spring and summer, harvested it in autumn and processed it into Kinko during winter. The way to make Kinko is very simple. Peel the skin, boil it, steam it then cut it into a suitable size, and dry it under the sun. Kinko is a body-friendly natural food made with only sea breeze and sunshine, without any additives. Shochu liquor and sweets made from Kinko are created these days. Shima's grace of mountain "Red Pearl" & "Nambari-Melon"
Shima's high-grade food "Anori Fugu "
Try honey in Matsujiro’s store! High popular honey brand for your souvenir and take out!